"The Manor" A contemporary styled enclave of luxurious townhouses located in one of the most prestigious areas near Edgemont Village. Offering over 3300 sq ft a downsizers dream without compromising the standard of living . Featuring 4 spacious bdrms + 3.5 baths incl. a stunning master suite w/ a spa-like ensuite, sky lit for natural lighting. High ceiling throughout. 2 gas F/Ps, separate family room w/ 2 sets of french doors leading onto a private sun-soaked patio & grass area. Large open kit w/ granite countertops & a center island. Downstairs affords a large rec. room area, oversized bdrm & a 4 pc bath ideal for the teens plus an attached double garage & loads of storage. Conveniently located-just a short stroll to the Shops of Edgemont Village. Open House Apr 20, Sat 2-4 . This luxurious townhouse provides the spaciousness & privacy of a house without the maintenance. 3200 spectacular sqft, 3 bedrooms up, featuring an incredible master suite with luxurious spa-like ensuite, 3.5 baths, full laundry room up, and a Rec room down. You are welcomed by the dramatic double-height living room, bank of windows and gleaming hardwood floors. You will enjoy true open concept living and a welcoming kitchen which is open to the bright family room. Double french doors allow you to walk out to your own private, west-facing, sunny patio. To complete this perfect package is the attached double garage and ample storage. The private, yet central location is unbeatable. Minutes from downtown, the best walking/hiking trails. 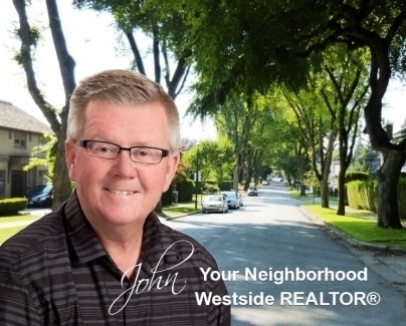 Walk to Edgemont Village for your morning coffee. .
A beautifully designed Duplex in the heart of Lower Lonsdale. At 3,025 sf with 5 bdrms and 6 bathrooms, this is an amazing opportunity for investors looking for steady cash flow or end users looking for a great mortgage helper. Built by Georgie award winning Alchemy Construction and Architect Alex Voth, their thoughtful design is apparent throughout. 9 ft ceilings in the basement and main floor give you a sense of space and openness rare to find in a duplex. The Fischer Paykel appliance package is top of the line, and the one bed suite is unlike any other I've seen. Huge balcony off the back and lovely views of the city from the master bedroom. This is a rare offering in an unbeatable location. . Spectacular luxury view duplex built by Noort Homes. Not your average duplex. This large 3067 sqft beautifully finished home sits up high, and truly makes a statement. Enjoy views from every level. Large open concept on the main floor with 2 living areas, 3 bedrooms up (option for second laundry on upper floor) Beautiful master suite with large walk in closet. Heat pump with air conditioning. Amazing 500 ft private ROOFTOP patio with 360 degree views of the city, water, bridge, and mountains. Awesome above ground 1 bedroom and den legal suite. Complete with 2 car garage. Beautifully landscaped.  Central location, steps to Saint Thomas Aquinas high school. .
NEW DUPLEX HOME in Central Lonsdale is ready for you! 3 levels of luxury living with open plan developed by award winning BOLDER HOMES in one of Lonsdale's finest locations. This 5 bdrm, 4 bthrm green-built half duplex offers approximately 2800 sq.ft of living space with high end finishings such as stone counters, hardwood floors, Bosch appliances, on-demand hot water, large kitchen & family room with french doors opening onto a covered patio & fenced yard & lane, master bedroom with spa-like ensuite, A/C with heat pump, HRV, garage with open parking & storage. BONUS- lower level has 2 bdrms, 1 bath & rec room/media room with separate entrance- perfect for in-laws or students. Enjoy the comfort of a 2, 5, 10 year New Home Warranty. Energuide 86! PRICE INCLUDES GST! . #21 is LUXURY LIVING at SIGNATURE ESTATES! CUSTOM-BUILT, STAND-ALONE TOWNHOME available in Raven Woods. This one-of-a-kind 4,100 sq ft+, 5 bed & 5 bath home spares no expense in the details. Gleaming high-end Sub-Zero, Wolf & Bosch appliances. Immaculate, luxurious engineered hardwood floors. The open concept kitchen with ample storage is a chef's dream! Living room, dining room & family room are generous in size and beg for memories to be made with family and friends. Eclipse doors opening onto the deck and large, private, south-facing fenced yard extends your living space outside to enjoy savoury summer nights. Upstairs features spacious rooms with 2 master beds and baths. Downstairs boasts a media room, gym & two more bedrooms. CALL FOR APPOINTMENT . This brand new 2,913 sq.ft. Duplex built by Noort Homes is sure to impress you! The main floor open plan living space flows out to a sunny private, fenced back yard. Experience the ultimate outdoor living on your large ROOFTOP DECK with a panoramic view of the city, ocean, and mountains. The home offers an amazing master suite up, with all 3 bedrooms enjoying a great view. The really bright above ground 2 bedroom legal suite will be much in demand. The home has a 2 car detached garage plus a parking pad. This beautifully landscaped property is centrally located and close to Saint Thomas Aquinas High School. . STUNNING West Coast Contemporary 1/2 duplex proudly positioned in Central Lonsdale. With over 2800 SF, this spacious open concept home boasts 3 levels of luxury living with breathtaking views of the Ocean & Downtown Vancouver Skyline. Main level features thoughtfully designed gourmet kitchen. Master suite retreat above boasts beautiful spa-inspired bath & spacious deck overlooking picturesque views. One-bedroom suite below ideal for in-laws or rental revenue. Features include vaulted ceilings, high-end integrated appliances, wide plank h/w floors, radiant in-floor heating, AC, HRV, 2 fireplaces, built in vacuum, security system & fully fenced private yard. Walking distance to all the amenities Central Lonsdale has to offer including Andrews on 8th, Whole Foods, parks, restaurants & shops. . These brand new, architecturally designed, 3-level duplexes are located in the heart of Central Lonsdale. The gorgeous, 2720sqft, 4 bed, 5 bath, Canada-Place-view-homes include a 1 bedroom suite ideal for rental revenue or for the in-laws. Each unit has a spacious open concept floorplan with living room, kitchen, dining & family room on the main, 3 bed, 2 baths up & a beautiful sky-deck off the master. Vaulted ceilings, high-end integrated appliances, wide plank h/w floors, radiant in-floor heating, AC, HRV, 2 fireplaces, built-in vacuum, security and a fully fenced private yard are what set these homes apart. Ranking at the top of the walkability scale, close to everything Central Lonsdale has to offer â€“parks, Ridgeway school, Whole Foods, banks, restaurants & shops. Open Sat/Sun 2-4 . BRAND NEW modern Morez designed 1/2 duplex in highly desirable Lower Lonsdale neighbourhood. Boasting over 2700 SF of luxury living, this sleek home features 3 bedrooms above including a luxurious master with ensuite & walk-in closet. An ideal entertainment space, the open concept main floor features a kitchen with large island & high-end finishes, stainless steel appliances and private, fully enclosed backyard patio. Below you will find a 2-bedroom legal suite with separate entrance. A short stroll from the awesome amenities Lower Lonsdale has to offer including the Lonsdale Quay & Pier, trendy restaurants, great shops, transit & fantastic hiking and biking trails for the outdoor enthusiast. Donâ€™t miss your opportunity to take advantage of the unmatched convenience of the LOLO lifestyle! . Gorgeous contemporary duplex in Central Lonsdale on 3 levels of luxury living with open plan developed by award winning BOLDER HOMES in one of Lonsdale's finest locations. This 5 bdrm, 4 bath green-built half duplex offers approximately 2700 sq.ft of living space with high end finishings such as stone counters, hardwood floors, Bosch appliances, on-demand hot water, large kitchen & family room with french doors opening onto a covered patio & fenced yard & lane, master bedroom with spa-like ensuite, A/C with heat pump, HRV, exterior insulation, drain water recovery, garage with open parking & storage. BONUS lower level has 2 bdrms, 1 bath & rec room/media room with separate entrance perfect for in-laws or students. Enjoy the comfort of a 2-5-10 year New Home Warranty. .
Beautiful BRAND NEW 1/2 duplex situated in highly sought after Central Lonsdale. This stunning home boasts 2500 SF of designer finishes sprawled over 3 levels. Enjoy views of the Downtown Vancouver city skyline & North Shore mountains from your spacious roof top deck. A gorgeous, open floor plan unfolds on the main creating an ideal entertainment space from the chef's inspired kitchen and beautiful family room that open out to your private patio space and backyard. Upstairs enjoy the comforts of home from your flawless master bed with spa inspired ensuite & private deck and 2 additional spacious bedrooms. Below you will find a 1 bed suite. Located steps away from the great amenities that Central Lonsdale has to offer including shops, trendy restaurants, beautiful parks and great schools. .
A beautifully designed Duplex in the heart of Lower Lonsdale. At 3,025 sf with 5 bdrms and 6 bathroom, this is an amazing opportunity for investors looking for steady cash flow or end users looking for a great mortgage helper. Built by Georgie award winning Alchemy Construction and architect Alex Voth, their thoughtful design ins apparent throughout. 9 ft. ceilings in the basement and main floor give you a sense of space and openness rare to find in a duplex. The Fischer Paykel appliance package is top of the line and the one bed suite is unlike any other I've seen. Huge balcony off the back and lovely views of the city from the master bedroom. This is a rare offering in an unbeatable location. . Built by Noort Homes! Brand new side by side Duplex with 2565 square feet of living space. Fantastic quiet location in Central Lonsdale. Great layout with 3 bedrooms up and open plan kitchen, family room on the main. Bonus 2 car garage. Complete with 2-5-10 New Home Warranty. Great Value! . CENTRAL LONSDALE'S NEWEST DUPLEX HOME ready for u to move into! 3 levels of luxury living developed by ROCK ARC DEVELOPMENTS 1 of n. van's largest developers of duplex homes in a quiet lonsdale location close to everything. This 4 bdm,4 bath offers approx 2600 sq.ft with stone counters,stainless steel appliances,large kitchen with french doors opening onto wood deck with private yard,hardwood floors,crown mouldings,south balcony off master bedroom,gas fireplace,radiant heating,HRV,garage with carport and lane. BONUS the lower area has a large rec/media or hobby room, bar, bedroom with bathroom and own entrance perfect for a family member or mortgage helper if u like all with the comfort of a 2,5,10 year New Home Warranty. Great Price! Original price was $1 929 000. OPEN SAT/SUN 2-4PM. .
Luxurious brand new side by side 1/2 Duplex built by Noort Homes. This gorgeous home offers 2335 square feet of living space on 3 levels and has beautiful high-end finishing throughout. Great layout with 3 bedrooms up and lots of extra space in the basement if you need a 4th bedroom. Complete with 1 car garage and an open parking pad. Comes with the 2-5-10 New Home Warranty. .
Belle Isleâ€™s Capilano series is our top of the line park-side townhome and provides all the space and flexibility needed for todayâ€™s active families. It offers three large bedrooms and den, finished basement, central heating & A/C and a large roof deck. It also features an enclosed garage and convenient direct entry from parking into your home. Belle Isle has a world-class location right in the heart of the North Shore at the Lions Gate Village. It is exceptionally close to almost everything â€“ the Capilano River, Park Royal, Ambleside Beach, Lions Gate Bridge & Downtown Vancouver. The Lions Gate Village is North Vancouverâ€™s premier new master-planned community complete with parks, trails, shopping and other services. Sales Centre Located off Site at 88 Lonsdale . Edgemont Walk Townhomes by Boffo Properties are Move-in ready. Executive living in Edgemont Village with shops, cafes and top schools at your doorstep. Courtyard townhome with 3 beds and 3.5 baths & huge lower level/flex media room. Enjoy the convenience of a private elevator with direct access to every level of your home from your private enclosed garage (2 side by side parking stalls). No concern of stairs. Open concept main floor living with over height ceilings, large chef-inspired kitchen with high end appliance package & access to a quiet south facing enclosed patio. The master bedroom occupies its own floor with massive spa-like ensuite, large deck, mountain views. Presentation Centre & Display Home open 12-5 daily (except Fridays) . Rare opportunity 1 of 4 new exclusive duplex homes in a prime Central Lonsdale location built by award winning Built Green Certified BOLDER HOMES. Sleek and modern with 4 beds and 4 baths with all natural materials like cedar, concrete, glass and stone. Main floor will feature floor to ceiling windows, hardwood floors, open kitchen with Bosch stainless steel appliances, quartz counter tops and custom cabinetry with living room and dining rooms. Upstairs will have 3 bedrooms and 2 bathrooms with laundry. Lower floor has rec room with wet bar, bedroom and bath with exterior door. Bonus is a large roof deck with views! Single garage and back lane all in the comfort of a 2-5-10 National Home Warranty. Hereâ€™s ur chance to buy now and customize! Ready summer this year. . Luxury, Location, Lifestyle! Fabulous home with ocean, mountain and forest views from all 3 levels! This large (almost 4000 sq. ft) townhome has all the extras: beautiful design with vaulted ceilings, tons of windows, built ins, 2 fireplaces, high end finishings including Wolf and Subzero appliances, upgraded flooring and wall coverings. Extras include amazing storage, attached 2 car garage....the list is endless. Designed to fit house sized furniture, the home also has lots of outdoor space including 2 ocean view decks and a private south facing fenced yard. Perfect for families, downsizers or anyone wanting to live in a luxurious home surrounded by ocean, mountains and forest. .